Get your FREE copy of THE STRENGTH FOR LIFE MANIFESTO. Enter your email below to learn how to overcome every obstacle you face, and become the strongest version of yourself. You will also receive daily motivational emails to help you become the strongest version of yourself. Congrats on taking action to attain Strength for Life! Stronglifts 5x5 is an excellent strength training routine. It's a program that's been around a long time too, with roots in legends like Reg Park, Bill Starr and Glenn Pendlay. It's great for building muscle and burning fat. Similar to Starting Strength, you focus on squats and progressive loading. An ideal total body routine for beginners. This program is not only for beginners and even though simple, is not a walk in the park. When the weight on the Barbell starts getting heavier stronglifts 5x5 will become quite challenging. It's great for nailing down good form and building mental strength. -Start with empty barbell and do 5x5 instead of 3x5 with weight on the bar. -Perform rows instead of power cleans. Both programs are effective. Stronglifts is a better choice for true beginners. Start light, build up strength, and follow the program until you no longer make gains.Have an experience with this program? Share it here. Add 5-10 lbs. to the barbell each lifting session. You don't have to lift Monday, Wednesday and Friday but make sure whatever days you choose that there is a day of rest between sessions. Believe me you will need it. Before I did this program I was doing bodybuilding split routines. Spending too much time and effort in the gym and not seeing enough results. Way too many exercises for each muscle and not enough free weights. I did stronglifts for about 2-3 months. I got stronger in these months than eight years previous. Build muscle, burn fat, and gain strength. Who doesn't want that?! Focus on squats three times a week. Helps you nail down form with all the repetitions. Focus all your energy on the essentials. Mentally challenging, instills discipline, mental strength, will. Builds real world strength and increase fitness levels. Burning fat while building muscle. Start light and build up fast. Break PRs. Constant upward momentum. Workouts get too long after you get to a certain level. You have to eat a ton and get sufficient sleep to recover. Rest periods between sets get long. If you lift at a commercial gym this could be an issue with people waiting to get in a squat rack. If I could do it all again I would have stayed with this program much longer. I made impressive gains in 3 months and can only imagine where I would be had I stuck to it for 6-9 months. Stick to it until you are no longer making any gains! I stalled out twice on squats and thought I was ready for an intermediate program. Looking back that was a mistake. Learn from my mistake (and many others out there) and use it to your advantage. Even after stalling out on this program you can switch to 3x5 or even Starting Strength for a change, and still make excellent muscle and strength gains. That's the name of the game. -Start light and take advantage of this time to really practice the lifts, get the form down. it will pay off immensely in the long run. Nailing down good lifting habits will help you build more muscle, strength, power, and reduce risk of injury. -Don't be afraid to eat. Maybe more than you're used to if you're a skinny guy. You will gain muscle and burn fat. 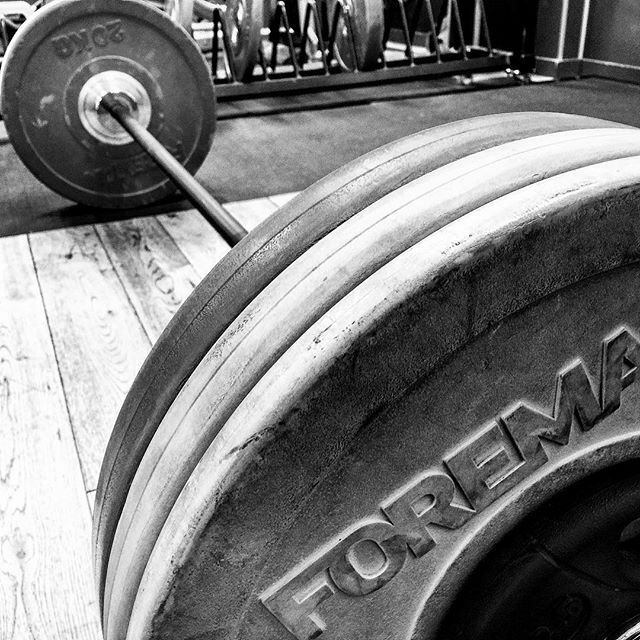 Body transformation comes from the multiple sessions of heavy squatting, pressing and pulling. You will need the calories too! Eat to fuel the body and mind. Once your lifts get heavier and you are taking longer rests between sets, you will need the energy. -Get sleep and recovery. Rest days are to relax and recover. No lifting. Do some light cardio, nothing too strenuous for awhile. Some foam rolling or massage is beneficial. Once you get acclimated to the program you could add more conditioning work if needed. -Be careful with your lower back. Row and deadlift with good form, keeping your lower back safe. Always squeeze your glutes and push out your abs to stabilize your midsection and avoid injury.Use a belt when you start lifting heavy. Learn how to use it properly by pushing into the belt with your midsection. Newer PostThe Myths of Carbs and Fats: Which is BAD for you?